To some, missing the Super Bowl is sacrilege. As far as I’m concerned it’s a ski day, but my eleven year old doesn’t agree. When we were pass holders at Mount Peter, we were close to home and it wasn’t issue. An early arrival and departure would give us plenty of time to ski Belleayre and see the big game. 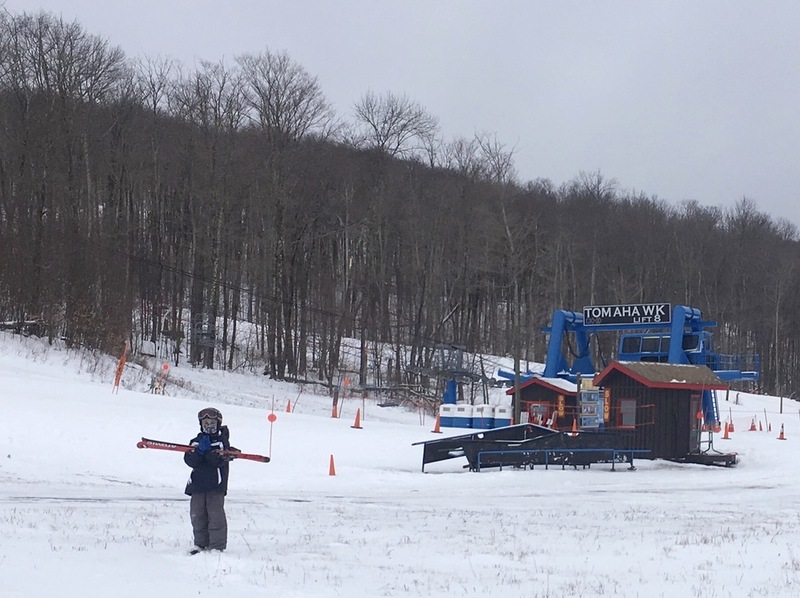 Of all the improvements made at ORDA ski resorts this year, the one which generated the most discussion in the NYSB Forum, was Belleayre’s new gondola, the Catskill Thunder. There was skepticism of the need for a gondola and anxiety about the cost while others supported the idea with full-on fanboy enthusiasm. Super Bowl Sunday was a great opportunity to see for ourselves. We arrived at Belle around 8:30. I grabbed our MAX tickets at the Overlook lodge and parked at the Tomahawk Quad. We were the second car there. The top of the Tomahawk — and the new gondola — access Deer Run, the trail that was extended down to the Discovery Lodge and the gondola. We were here to check out Belle’s improvements so skiing Deer Run was our first order of business. 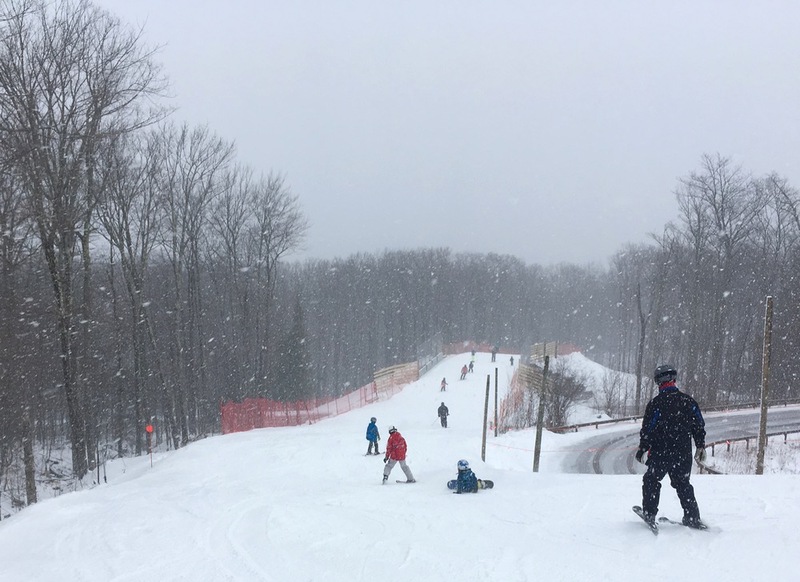 With the gondola not loading yet, the upper part of Deer Run was its familiar self, a nice winding, uncrowded intermediate run with enough pitch to ski fast but not enough to challenge my eleven year old. I felt obligated to criticize his continued use of a wedge technique, something he should have left behind by now. When we got back to the bottom of the Tomahawk, we kept on across the new bridge to the recently cut lower section of the trail. Apart from the steepish pitch after the bridge the new trail is a pretty standard green cruiser. Anybody that can ski, can ski it. The gondola hadn’t opened when we reach the Discovery Lodge. It was windy at the top so we assumed it was on hold. We jumped on one of the fixed-grip doubles and were reminded of the justification for the new gondola. The old doubles are slow, which is why a lot of Belle regulars don’t go down to Discovery. We made it to the top with a few stops and skied over to the Super Chief Quad to catch a ride back to the top of the ridge. Back on familiar ground, we spent time skiing off lift 7. We could see the gondola moving but the cabins were empty so we stuck with the Tomahawk. Eventually we saw gondola cabins carrying skis, so we skied down to check it out. 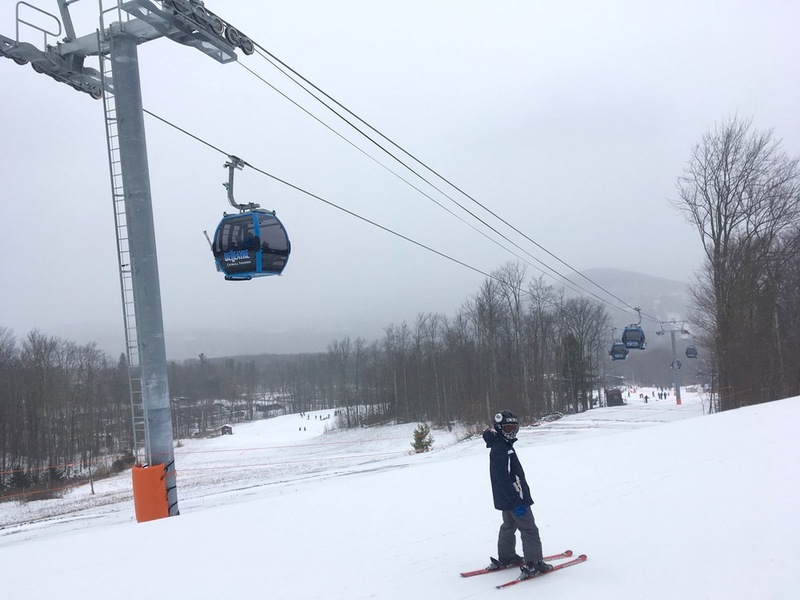 After all the discussion the Catskill Thunder was like any other gondola, it got us out of the weather and back to the top quickly. 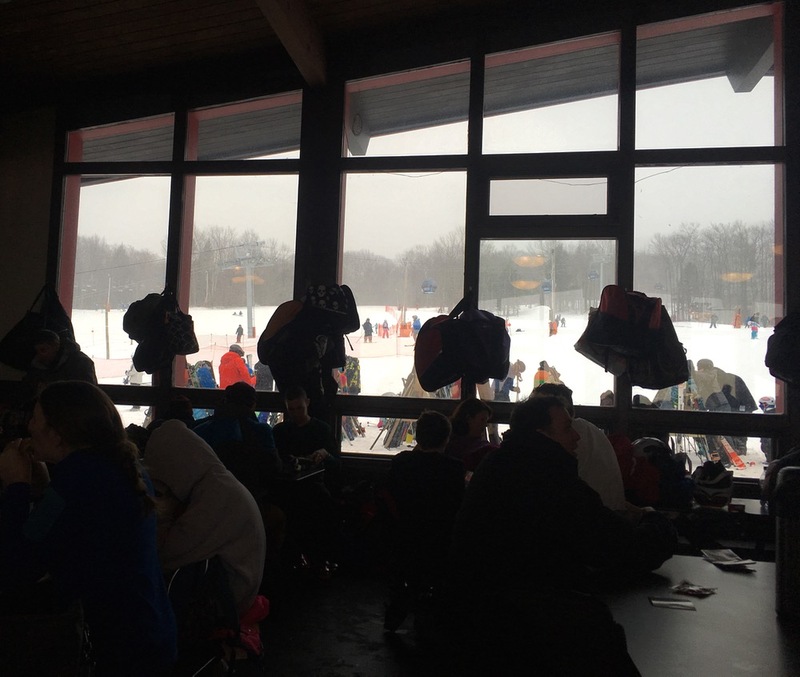 The experience of skiing Deer Run changed completely from earlier in the morning as it was much busier. My sons well-honed wedge technique was actually perfect for threading his way through successive groups of hesitant beginners. After that, we shifted back to the Tomahawk, skiing Lower Seneca and Peekamoose, which we could get to from the mid-station. We made our way down to Discovery for lunch. The gondola cabin walls are completely transparent, which is really nice and should be a selling point in the off season for sightseeing and leaf peeping. 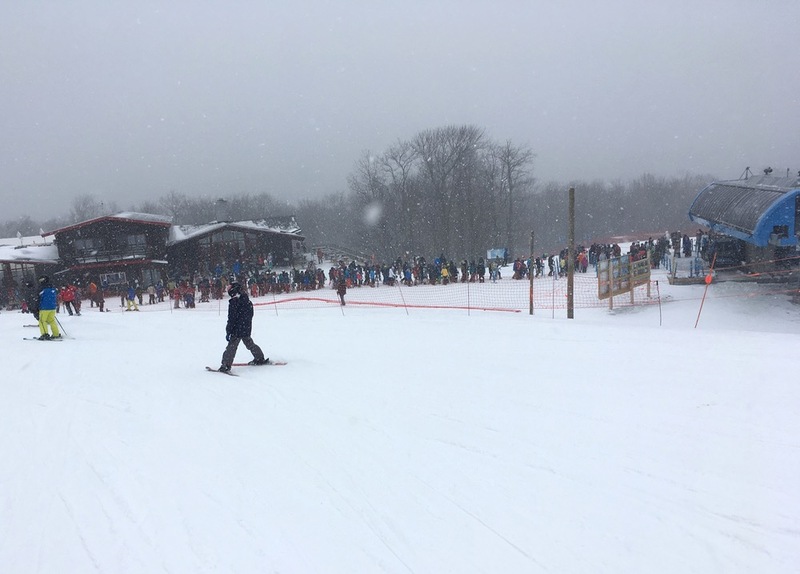 In spite of it being Super Bowl Sunday, Belleayre was doing a good business; Overlook parking was full with a line of cars extended down the road. The new lift certainly prevented lift lines from becoming onerous and Tomahawk was practically ski-on all day. A good one, and we’ll be back. So you didn’t like riding the new gondola? even though i am NOT a fan of Belleayre, i am excited to try the new gondola this thursday. Snowsurfr, have fun on Thursday, man! You should post some pics in the forum. The forecast looks awesome for you. Snoloco, I didn’t mean to give the impression I didn’t enjoy it. Gondolas get you out of the weather, they’re better for foot traffic etc… There are legitimate arguments for and against this particular installation but the Catskill Thunder is there now (can’t turn back time even if you wanted to) it’s operational and it is shortening lines and shifting some crowds from the middle of the resort to a previously underutilized area so I think we can conclude that it is fulfilling its intended purpose. Nice report, I was there Sunday with my daughter and her friend. I was surprised how croweded it was early on, I figured a light crowd on game day. I stayed until the last Gondola on Sunday, I just couldn’t give up on the fresh snow, it seems so rare these days! The place cleared out around 2:00pm, with all the lifts ski on. The drive on 28 to the NYST was double the usual ride and I missed the first ten minutes of the game, the great afternoon conditions were worth it. Will Belleayre ever incorporate Highmount trails? IMHO the gondola is a total waste of resources. High profile capital expenditure ORDA and the governor get sucked into. It’s better to keep Discovery as a separate beginner area anyway. I think Belleayre could use more terrain diversity. Almost every run off the summit ridge looks and feels the same. The gondola was the only directly skiing related upgrade in ORDA for 2017. I’ll take that over the stupid lodge “upgrades” at Whiteface that resulted in them deciding that they didn’t need to open Hoyt’s and Lookout Below anymore to keep the rif-raff (real skiers) out. Ok, fair enough. I haven’t honestly followed ORDA upgrades. Here is something the state can do instead of trying to run ski areas that would truly help the sport: cap insurance rates for owners. Not even sure if this is possible but my understanding is that insurance is a huge part of operating expenses. Rising costs plus climate change spells an end to skiing as we knew it. Insurance rates are not the factor they were 25 years ago — it’s all about snowmaking. my understanding of the high mount area is that this area is being ‘given’ to Belleayer, to develop into more skiable terrain as an incentive for the permits needed to develop the Belleayer area with a hotel, condo’s, commercial and residential housing. This permit process is almost over; i believe there is a very small group of local homeowners who do not want this development and are fighting it since its inception (about 15 years ago?) 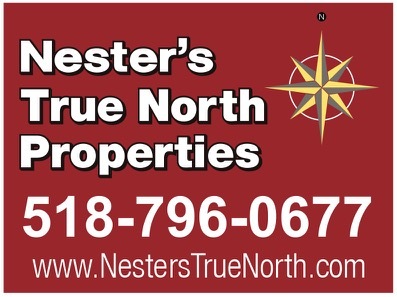 but the permits have been issued and when the last legal appeals are finished, the project may start, depending on how many financiers are still “in” after all the delays. We skied Bellayre the following weekend, for the very first time. We are from Maryland and were driving to Mount Snow for a few days and decided to try Bellayre. Very glad we did, and we loved the Gondola.